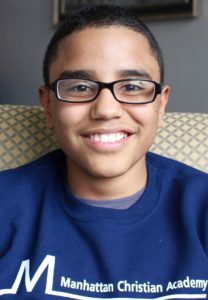 My name is Adrian and I am a sixth-grade student at Manhattan Christian Academy (MCA). I came to MCA two years ago. At my old school, people hated on each other, bullied, and fought. In third grade I got cursed at for no reason. All of this affected the way I acted outside school. I put my baggage on other people. While I tried to ignore the bullying, I began to fight back. In fourth grade, people began to care about name brand clothing and I became more insecure because I did not have any. The bullying continued but I stood up to it and for other people who were bullied. I had doubts about transferring to MCA because so many teachers at my old school told me I was a bad kid. I thought I would not be good enough for MCA. In fourth grade, a teacher told me that if she was my mom, she would be ashamed I was her son. All this led to doubts, but still I looked forward to changing schools. At the MCA ice cream social before school started, I was shocked at how friendly the other children were. The first day of school was smooth. My teachers welcomed us. When we were asked to introduce ourselves and share summer experiences, everyone listened respectfully. At the first day’s recess, other boys asked me to play football. Since I’d never played before, they taught me. Now I love football. While I got great grades at my old school, I never got acknowledged. I have been on the MCA honor roll and got the Principal’s award last year. This year I was chosen for the school leadership team. History is my favorite course. I love learning about ancient times, especially religions, and how they compare with my life. I like how my gym teacher gives advice on sports and how to live. Chess club taught me how to outthink my opponent and win. After two years at MCA, I feel completely changed. I am confident now. I believe that God changed me at this school. 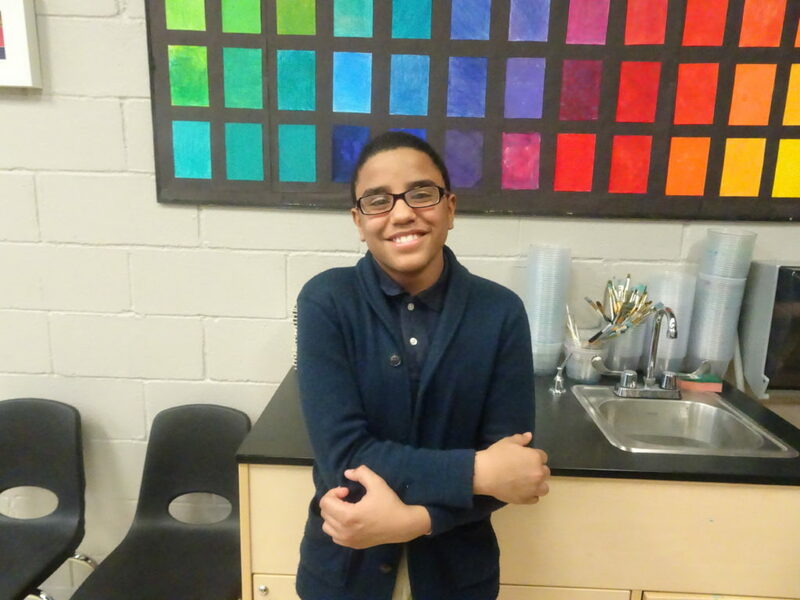 Adrian is a CSF Scholar attending Manhattan Christian Academy in the Inwood section of Manhattan. His brother, Brandon, and his sister, Emma, also attend MCA using CSF scholarships.